Brewster Ambulance Service ALS vehicles are staffed at the advanced life support level. Our ALS ambulances are operated by highly skilled and trained staff and carry the necessary medical equipment required to stabilize, treat and transport patients to a hospital emergency department, cath lab, trauma center or for an interfacility transfer. All of Brewster Advanced Life Support (ALS) vehicles include Zoll® ECG monitors with 12-lead capabilities and noninvasive hemodynamic monitoring. They also are equipped with Newport HT70 mechanical ventilators with multiple mode selections as well as noninvasive BiPAP/CPAP capabilities, ePCR charting and IVAC 3 channel medication infusion smart pumps. Enhanced trauma service capabilities also come with a versatile complement of advanced life support medical supplies and apparatus to manage and care for critically ill or injured patients. Our Advanced Life Support (ALS) ambulances are staffed with two (2) paramedics who meet or exceed the training and certification requirements set forth by the Commonwealth of Massachusetts. 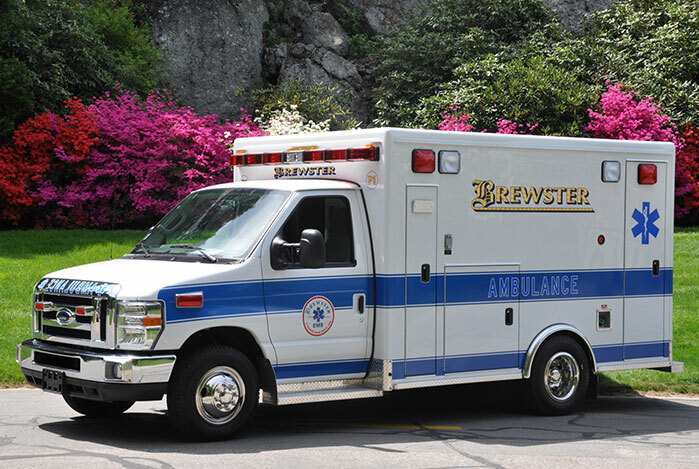 During critically ill or vent-dependent patients transports, Brewster staffs ALS vehicles with an EMT as well, so both paramedics are able to focus on the patient.